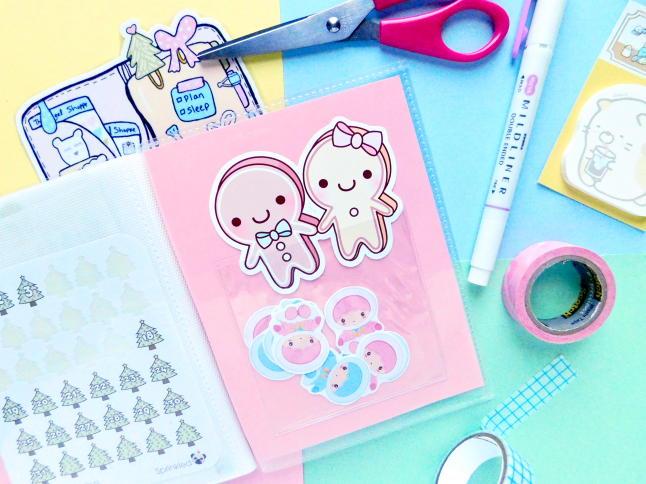 For my first DIY in December I'm showing you guys how to make your own sticker books. I've mentioned before that sticker books are one of my favorite ways to organize my stickers. 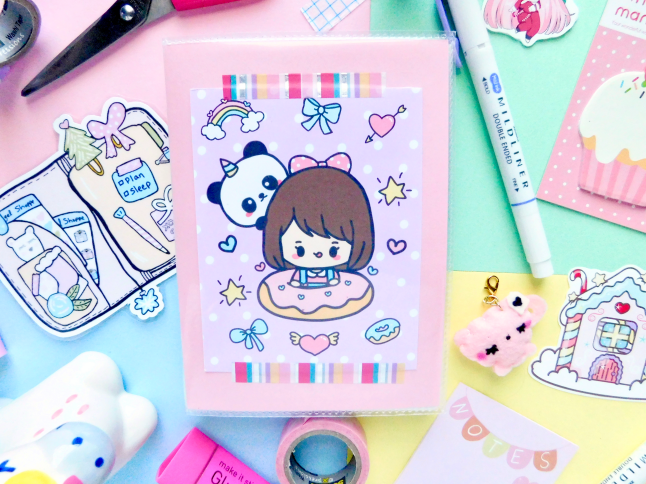 This is more of a cute way to decorate your book instead of an actual DIY but you guys get the point. 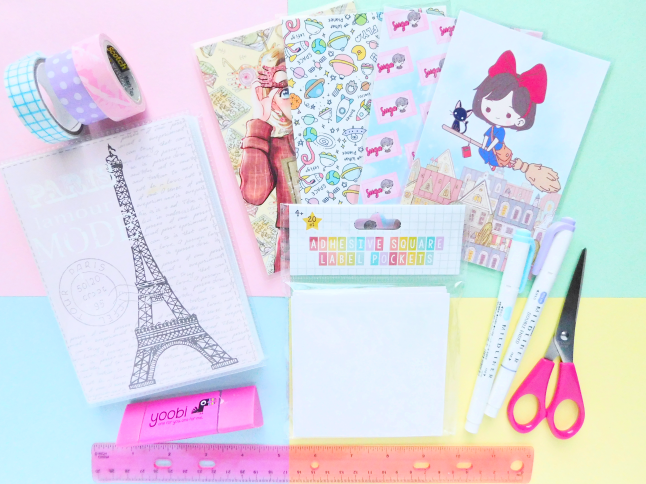 If you're a planner then you probably have tons of loose stick sheets that you need a home for. I found. that photobooks are really convenient because you can store lots of stickers and look at the sticker sheets before taking them out. 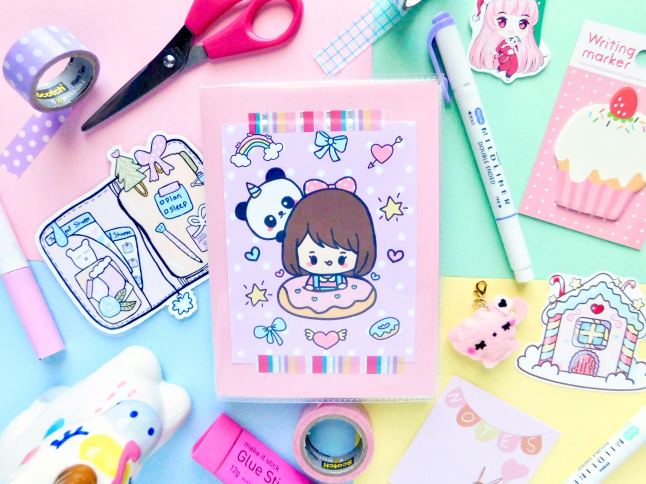 This would be a cute homemade gift for the planner in your life and it's also a very inexpensive DIY that you can customize. First, you are going to take out the front and back cover of the sticker book. With your ruler and pen and take measurements of the covers. In the colored or patterned paper cut out 4 pieces of paper. Tape two of the pieces of paper together, repeat with the other pieces of paper. You should have a thick piece of paper. I added adhesive pocket squares on the insides of my books to hold loose stickers, sticker flakes, and die cuts. Now is the fun part, decorating! 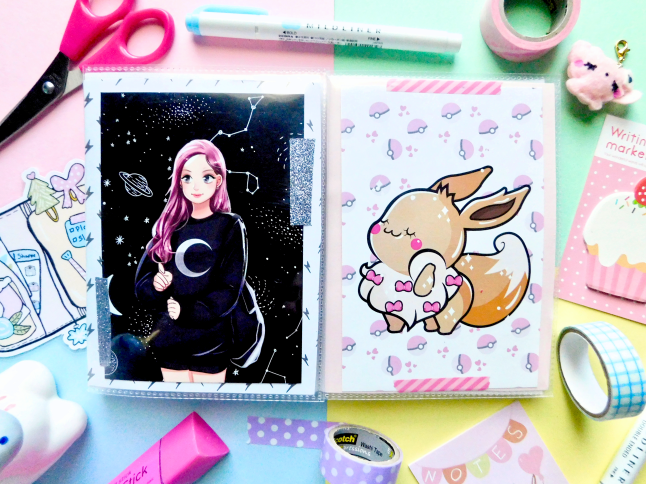 You can use whatever you want to decorate your cover but I used an A6 print (the left is from HelloPaperCat and the Eevee print is from Sharodactylart) and washi tape to stick it to the center. I didn't glue down the print in case I want to change out the design in the future. Where do you keep all of your stickers? Love this! 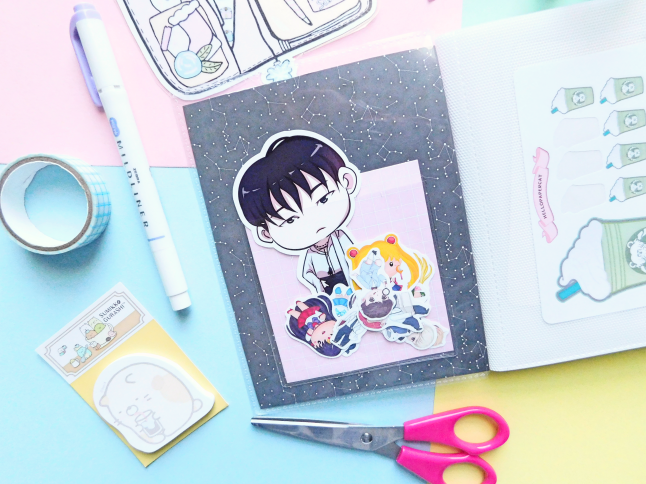 I use a photo book from muji for my planner stickers but never thought of decorating it!